The Mental Health Coalition - Sierra Leone (MHC) was established to work towards raising the profile of mental health in Sierra Leone, to advocate for improved access to mental health services, and to improve the quality of life of people with psychosocial disabilities. The programme is innovative in its bottom-up approach to identifying stakeholders, and creating structures that allow people with psychosocial disabilities to provide an authentic voice for the first time. Though supported by external partners initially, the programme has been led in a unique direction by its members, and established itself as an important organisation facilitating the strengthening of mental health care and social protection in the country. In response to the ongoing challenges in mental health in Sierra Leone, the Mental Health Coalition-Sierra Leone (MHC) was founded in August, 2011. A national consultative meeting was facilitated for individuals and organizations directly or indirectly affected by mental health issues.2 It was at this meeting that these stakeholders agreed that there was a need to confront the ongoing mental health issues in Sierra Leone. A three day training workshop followed, coordinated to prepare interested stakeholders for the founding of the MHC. An Executive Committee (EXCO) was elected by attendees and the MHC was born. The MHC has since matured and is now seen as the main reference point for mental health in the country. Within the MHC itself, there are subcommittees addressing: special events, research, medicines, training, awareness raising, WHO’s QualityRights Tool Kit,3 legislation and, most recently, Ebola. Regular quarterly meetings take place with all members to share the progress of the subcommittees. Annual meetings also take place to review the Terms of Reference, to build organizational capacity and to elect EXCO members. In 2012, the MHC registered as a non-profit organization with the Government of Sierra Leone and is now able to independently run programmes. From the time of the MHC’s launch in September 2011, the group has made significant progress in its aims. Under the group’s influence, key national mental health milestone have been achieved, including: launching the National Mental Health Policy,4 integrating mental health into the national Poverty Reduction Strategy Paper (PRSP) II: Agenda for Prosperity and establishing a national Mental Health Steering Committee at the Ministry. During the Ebola disease outbreak (2014-2015), the MHC demonstrated the ability to support Government initiatives during challenging times. The MHC became one of the key partners of both the Ministry of Health & Sanitation and the Ministry of Social Welfare, Gender & Children’s Affairs in advocating for the inclusion of a mental health & psychosocial support activities within the broader emergency response. Together, with government, the MHC Ebola Subcommittee coordinated new initiatives with resources already available in country while promoting the inclusion of psychosocial care in the country’s emergency recovery phase plans. 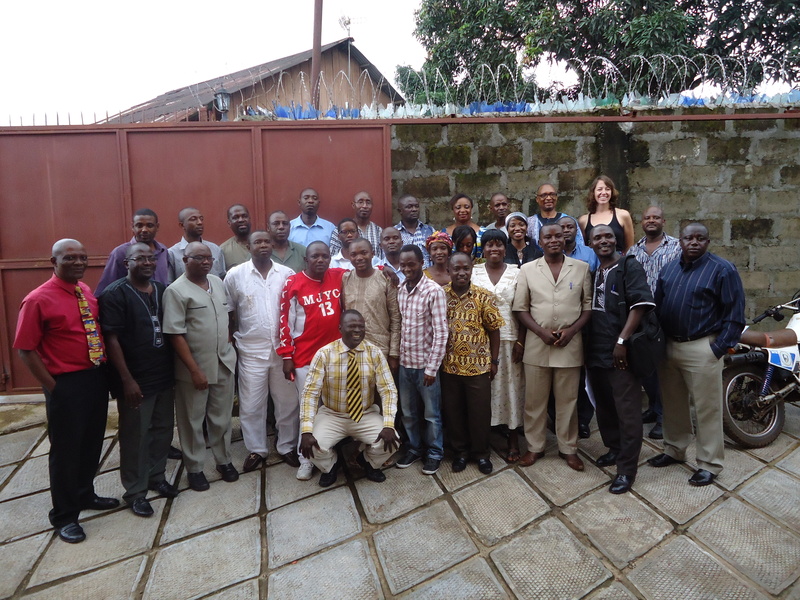 The MHC originally was founded as part of the Enabling Access to Mental Health in Sierra Leone programme. It also receives funding as part of the CBM/University of Ibadan mhLAP programme. Being part of these 2 programmes has provided the MHC with the technical and financial support to develop as an organization. Plans are in place to scale up membership of the Coalition nationwide. This is likely to happen during a second phase of the Enabling Access to Mental Health programme, and will depend upon the country’s recovery after the Ebola Virus Disease outbreak. Specific focus will also be put on strengthening the voice of service users themselves. It is likely that after the Ebola crisis, there will be a need for mental health and psychosocial support programming, which the Coalition will support. The project was evaluated with a qualitative study: Factors for Success. The aim of Factors for Success study was to investigate factors associated with successful mental health advocacy in a low-income country (Sierra Leone) using community-based participatory research (CBPR) methodology. Focus groups were held with mental health stakeholders, and key informant interviews were conducted with advocacy targets. The data was analysed collaboratively using qualitative data coding techniques informed by Grounded Theory. The analysis unpacked a series of successes and challenges of the MHC’s advocacy efforts, factors contributing to both outcomes, and environmental factors that relate to mental health advocacy in Sierra Leone. The Factors for Success final report is included in the Resources section under Reports. It highlights the study’s findings in depth. Total direct cost of MHC: Approximately $111,338 USD (Euro 100,000) over 5 years. There is significant added value to this due to the voluntary work done by members and in-kind support for office space. The MHC has also started to raise funds independently. For example, the MHC raised funds for three conferences, which were not funded by external donors. An additional success is that the Mental Health Coalition’s Research Sub-Committee was formed in 2013. Within the Coalition, the Sub-Committee supports capacity building in research methods and uses opportunities to gain experience by conducting research within the Coalition’s areas of interest. The Sub-Committee’s focus is on community-based participatory research and action research. It supports training sessions, research involvement, and mentorship of its members as well as development of research questions for the EXCO. The Research Sub-Committee has received financial support from CBM International and research advisory support from Dr Julian Eaton. During the Ebola Virus Disease outbreak of 2014/2015, the Coalition was a central reference point for the many new organisations coming to Sierra Leone for mental health and psychosocial support (MHPSS) work. They were able to support efforts at coordination of the emergency response in MHPSS, and were officially represented in cluster meetings.